With the best of intentions, and despite doing more and better than almost any previous government in terms of taking the right steps to fix the mess in public sector banks, the financial institutions are now in deeper trouble than they were four years ago. The Narendra Modi government simply does not get it when it comes to the financial sector. With the best of intentions, and despite doing more and better than almost any previous government in terms of taking the right steps to fix the mess in public sector banks, the latter are now in deeper trouble than they were in 2014. Hyperloop is the name given to a proposed ground-transport system that could potentially travel faster than a commercial airliner and at a fraction of the price. The proposed route will allow passengers, and possibly cargo, to travel between the Indian cites of Pune and Mumbai in 25 minutes. A deal has been signed that paves the way to build what could be the world's first hyperloop track in the Indian state of Maharashtra. Information is power, and in the twenty-first century, information warfare is another vertical which nation-states need to be worried about. The cost of mass surveillance enabled by Aadhaar to a democratic society would be enormous, with all our rights being at the whims of governments. The Aadhaar project has faced heavy criticism over the past two years because of the manner in which it is being forced upon citizens and concerns of potential privacy violations, surveillance by state and non-state actors apart from the high rate of failure with biometrics for elderly/differently abled people. The Unique Identification Authority of India (UIDAI) and the proponents of the project have always claimed Aadhaar is privacy by design and collects minimal information. The Minister for Electronics and Information Technology Ravi Shankar Prasad loses no opportunity to flash his Aadhaar card at public events and point out that it has only the name, date of birth, gender and address and that the enrolment process does not collect religion, caste and other sensitive information. Aadhaar is a great example of what India is good at — frugal innovation. Now we need to build the best-quality systems around its identification and authentication process. Take 1.2 billion people, mix in dollops of illiteracy and a culture of graft, heat with the oil of optimism, and garnish with faith, bung in the ability of technology to overcome man-made obstacles, and what you get is the Aadhaar system. Though, not surprisingly, just a few years down the line, the techno-magic of Aadhaar appears to be wearing thin in the face of our relentless ability to game any system for personal gain. Just ahead of the week-long Lunar New Year holiday, Chinese president Xi Jinping visited a satellite launch site in the southwest Sichuan province, where he cheered the modernization and technological advances of China’s military. The setting was appropriate: Beidou 3 satellites were about to be sent into orbit, part of an effort to boost the satellite navigation system used by the People’s Liberation Army (PLA)—one goal being the ability to strike enemy targets with millimeter-level accuracy. The domestic political crisis in the Maldives may have created fewer waves in India had it not, concurrently, opened the door for Chinese naval power to entrench itself among the islands strung south of the Indian peninsula. President Abdulla Yameen's regime in Male has-since the illegal ouster of Nasheed in a coup in 2012-systematically sought to reduce political, security-related and economic engagement with India even as it has invited Chinese presence, which has rapidly expanded. In HBO’s “Game of Thrones,” the most impressive single force on a very complex battlefield is the trio of dragons mastered by Queen Daenerys Targaryen. As she says, “We will lay waste to armies and burn cities to the ground!” The symbol of China, of course, is the dragon. The U.S., whose symbol is the eagle, will need to learn to fly in uneasy company of the dragon in the decades ahead. These metaphors can fly independently, but they are going to have to deconflict the airspace. China’s Overseas Basing: Will the PLA Follow the Renminbi? The People’s Liberation Army will play an increasingly visible role in and beyond Eurasia, through deployments and diplomacy. Recent media reports suggesting that China may soon open a second overseas military base, to be located in Pakistan, raise the question: where will it end? Will China follow other great powers, which garrisoned forces in large numbers to protect their commercial empires, or will its global military footprint be smaller? While China may open additional naval facilities to support its overseas interests, high costs and limited benefits impose constraints on developing a larger U.S.-style network of bases. However, the People’s Liberation Army (PLA) will play an increasingly visible role in and beyond Eurasia, through deployments and diplomacy. This means that the United States will have to continually reevaluate its own military partnerships in the region. Islamic State has largely been defeated, but peace in Syria has not been achieved. On the contrary, without a common enemy, parties involved are now pursuing their own interests, with each wanting a slice of the country. What do a counterfeiter from Syria, an Iraqi-Afghan militia fighter under Iranian leadership and a Russian Cossack have in common? More than you might think. They all took part in a strange offensive involving around 300 men on Feb. 7 -- an attack force that was bombed by the U.S. as it crossed a pontoon bridge over the Euphrates River in an effort to capture one of largest natural gas fields in eastern Syria for the Assad regime. Located near the city of Deir ez-Zor, the so-called Conoco field had been wrested from Islamic State (IS) last September by Kurdish-led troops -- with the help of U.S. Special Forces who have been stationed in the area since then. Russia is starting to innovate smaller-scale unmanned aerial vehicles that are roughly in the size and weight class as Insitu’s Scan Eagle series drones. The Russians showed off some their newest hardware at an Innovations Day at the Zhukovsky-Gagarin Air Force Academy earlier this month. "Among the exhibits, the guests to the event will see a radio reconnaissance station mounted on a rotary-wing drone, a robotic mines detection complex, the latest infrared system of small-size aircraft automated landing," the Russian Defense Ministry told the state-owned TASS news agency. As early February 2018 was marked by the return of the nearly four hundred man-strong Chechen military police battalion back to Russia after a year and a half deployment in the Syrian city of Aleppo, it also presents a good opportunity to reevaluate the role and specifics the Chechen element deployment plays into the Russian counterinsurgency model in Syria. As their field mission in Syria tends to be multitasked and most likely goes beyond simple critical military personnel and infrastructure security provision, their deployment can arguably provide an informative insight into the logic of the Russian counterinsurgency method applied, one that has distinctively authoritarian features. A method, that despite its lack of attractiveness that draws harsh criticism and has distinct disadvantages for the regimes that practice it, seems to work for Bahsar al- Assad’s regime and those who advise and support them from abroad, as the Russian supplied know-how might not be that random and opportunistic at all. 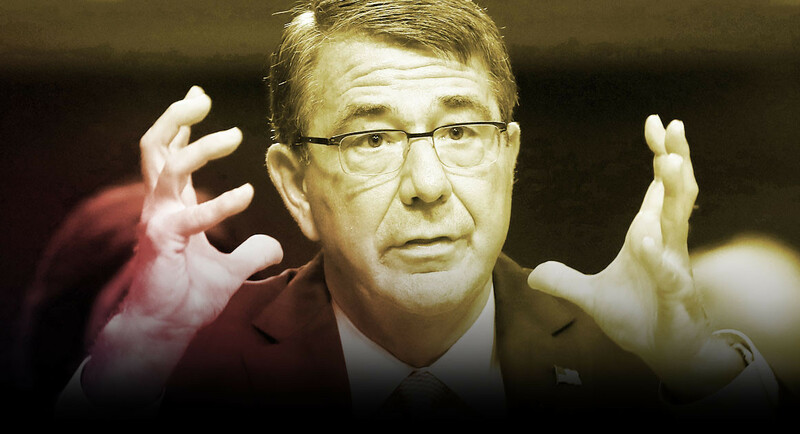 Former Defense Secretary Ash Carter tells us about his Pentagon plan to counter Russia—and why both Obama and Trump have failed to execute it. When Ash Carter became President Barack Obama’s fourth and final secretary of defense in early 2015, Russia had just seized Crimea by force from its neighbor Ukraine, in the first such armed takeover of territory in Europe since the end of World War II, and its troops were busy destabilizing Ukraine’s east. Carter ordered the Pentagon to respond by producing its first Russia war plan since the end of the Cold War, he revealed in an interview last week. In the Black Sea, Turkey remains caught between its desire to pursue regional ambitions, its NATO commitments, and the necessity to accommodate to Russia. Yet any tactical gain Ankara might obtain from playing Moscow against Washington for the sake of advancing its interests in Syria would weaken its moderate influence in the Black Sea. Ankara’s long-term interest in the Black Sea region is to continue to balance Russia’s growing military posture in the Black Sea and to promote multilateral cooperation in the region. There is no American equivalent to the Turkish deep state, or even an Israeli one, if it exists in the latter at all. IT IS perhaps no great surprise that Donald Trump’s supporters often mention a “deep state” that is determined to undermine the president. After all, Trump has frequently expressed his admiration for a variety of authoritarian leaders, including Turkey’s Recep Tayyip Erdoğan, who is the foremost exponent of the concept of a deep state. It was the deep state, he asserted in 2013 when he was under investigation for corruption, in cahoots with the phony media that was behind it all. In the aftermath of the July 2016 abortive military coup he has brandished the term to justify his arrest of over 150,000 military officers, civil servants and journalists. Venezuela’s electoral authorities have announced that a presidential election will be held on April 22. Opposition parties are now debating whether to partake in the elections after compelling evidence that the government used illegal campaign tactics (including intimidation and coercion) and directly meddled in vote counts in both the July National Constituent Assembly Election and the Gubernatorial Elections in October. Ironically, nuclear weapons promote peace because they discourage an enemy from launching an attack. An aggressor is “deterred” from engaging in a strike because the U.S. would respond in kind. Launching a surprise nuclear attack thus becomes a suicidal act. MUNICH — The future of warfare will involve artificial intelligence systems acting as lethal weapons, and much like cyber a decade ago, NATO allies are ill-equipped to manage the potential threat, said current and former European leaders speaking at the Munich Security Conference. Kersti Kaljulaid, president of Estonia, estimated a 50 percent chance that by the middle of this century we will have an AI system capable of launching a lethal attack. And yet, just as the world was not prepared for a cyberattack when Russia first launched a cyberattack against Estonia in 2007 — bombarding websites of Estonian parliament, banks, ministries, and news outlets — there is no strategy or international law to deter such tactics of warfare. Agencies lack the measurement tools to evaluate NIST cyber framework implementation in critical infrastructure sectors. Though most U.S. critical infrastructure sectors have taken actions to adopt the National Institute of Standards and Technology’s (NIST) Framework for Improving Critical Infrastructure Cybersecurity, sector-specific agencies responsible for developing guidance failed to develop adequate measures for framework adoption within their cluster, a Feb. 15, 2018, Government Accountability Office report found. 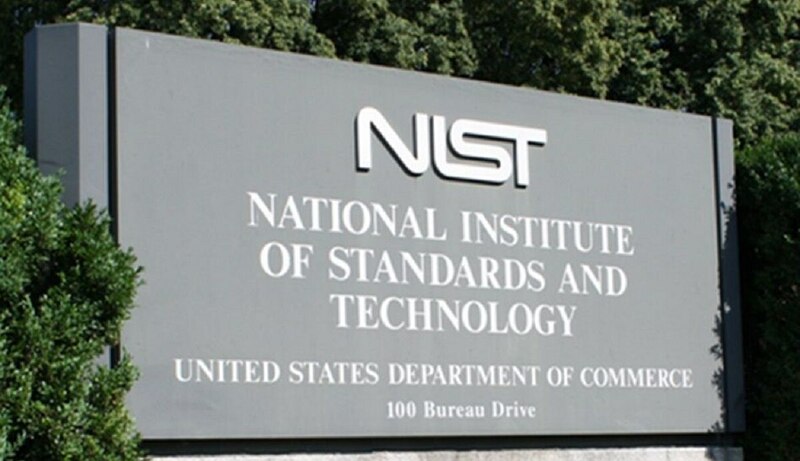 Four years ago, the Obama Administration rolled out the Cybersecurity Framework from the National Institute of Standards and Technology (NIST). It has proven to be an essential and indispensable roadmap for companies to review their cybersecurity risk and preparedness. Recently, NIST updated the document to reflect supply chain risk and additional security insights. Driven by an increase in demand for premium smartphones, the average smartphone selling price increased to $328 last year. However, as the following chart shows, it makes sense to look at smartphone prices at a more regional level. According to GfK point-of-sale data from 75 countries, the average selling price for smartphones ranged from $645 in developed Asia (incl. Australia, Hong Kong, Japan, New Zealand, Singapore, South Korea and Taiwan) to $183 in emerging Asia (incl. Bangladesh, India, Cambodia, Malaysia, Myanmar, Philippines, Thailand, Vietnam) last year. Troops — and their families — need training to spot and discard false narratives and information. Just as foreign actors seek to shape opinions and actions by the general American public — highlighted by Friday’s indictment of 13 Russians on conspiracy charges to influence national elections — they are also working to influence the U.S.military community. Recent research by Oxford University has revealed how foreign actors are targeting servicemembers, civilians, and their families. Immediate efforts are needed to mitigate this threat to military readiness, and to develop the information resilience of the military community. 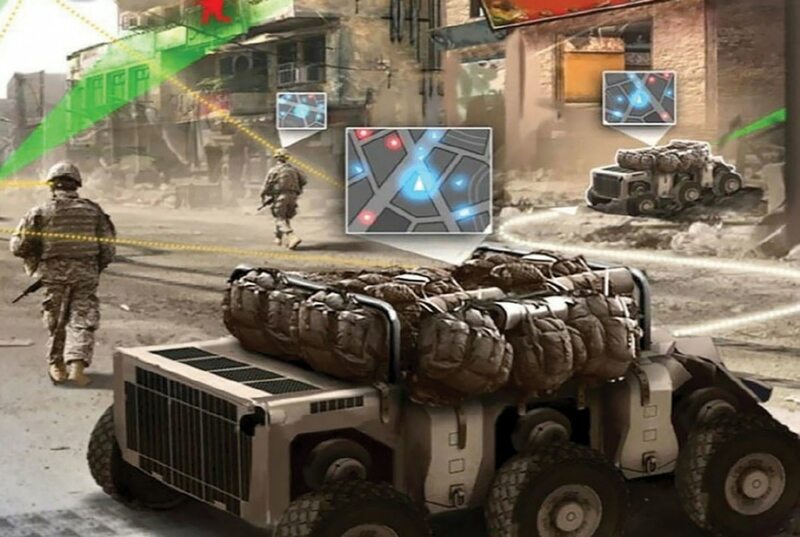 By 2025, the Army sees ground troops conducting foot patrols in urban terrain with robots—called Squad Multipurpose Equipment Transport vehicles—that carry rucksacks and other equipment. Unmanned aircraft could serve as spotters, according to the Army’s new strategy for robotic and autonomous systems. From Amazon’s Alexa to self-driving cars, artificial intelligence (AI) is rapidly improving and promises to soon transform almost every aspect of life. 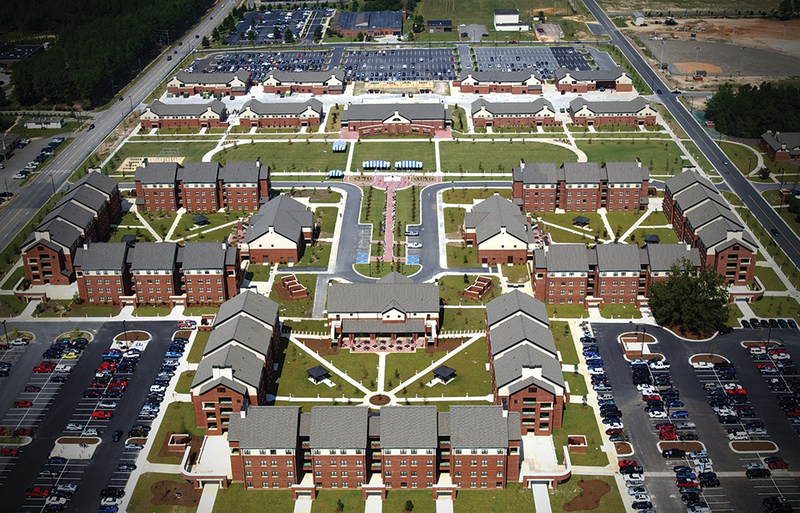 The U.S. Army must change how it thinks about its military installations. Installations are not sanctuaries; they are vulnerable soft-targets for a growing host of sophisticated threats seeking to degrade U.S. Army combat capabilities long before they deploy. Now is the time to act and update U.S. Army installations or risk stifling current modernization efforts with an Industrial Age past. With all the recent emphasis placed on modernization, how is it that U.S. Army installations are not included? If the primary reason installations exist is to ensure combat readiness, then what good is innovating new capabilities if they are increasingly vulnerable to future attacks? How effectively can the U.S. Army project combat power from Industrial Age installations that are designed more for their functional geography than as the first skirmish lines of asymmetric defense? Surprise has always been an element of warfare, but the return of great power competition—and the high-level threat that it poses—gives urgency to thinking about surprise now. Because the future is highly uncertain, and great powers have not fought each other for over 70 years, surprise is highly likely in a future great power conflict. This study, therefore, examines potential surprises in a great power conflict, particularly in a conflict’s initial stages when the interaction of adversaries’ technologies, prewar plans, and military doctrines first becomes manifest. It is not an attempt to project the future. Rather, it seeks to do the opposite: explore the range of possible future conflicts to see where surprises might lurk.